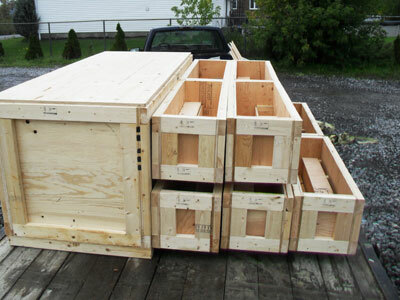 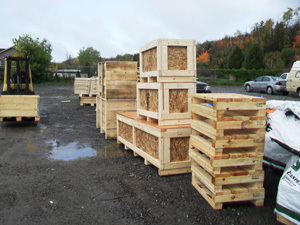 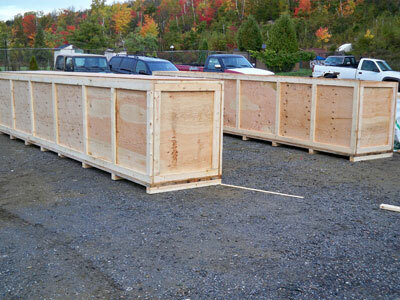 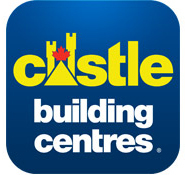 We are a Northern Ontario manufacturer of IPPC export certified (ISPM #15 Compliant) custom wooden shipping crates, pallets, skids and collapsible collars and certified by the Canadian Food Inspection Agency (CFIA) enabling us to manufacture wood packaging for international destinations under the Canadian Wood Packaging Certification Program. 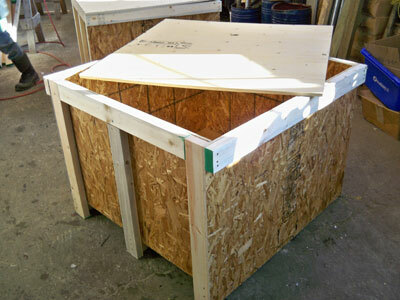 All wood packaging destined for overseas or the Continental United States must conform to the International Plant Protection Convention (IPPC) specifications in order to clear customs. 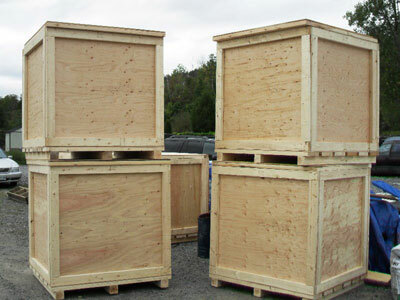 Our out of country wood packaging conforms to IPPC Phytosanitary regulations to ensure that your goods reach their destination without delay. 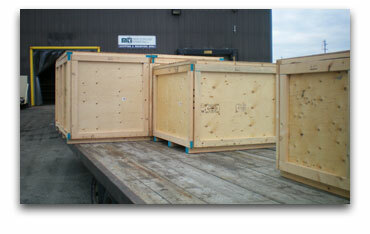 All or any of these can be utilized for in-house or for Local, National or International Destinations. 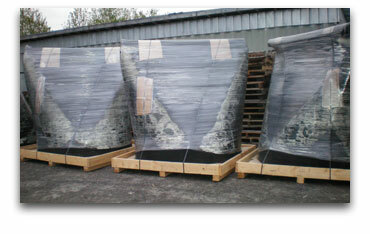 We currently manufacture a wide variety of products for large and small companies alike. 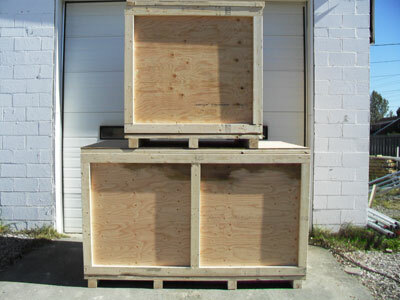 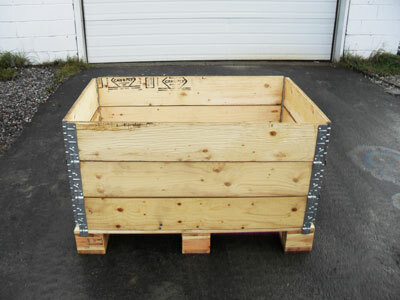 We have the ability to design, manufacture, and build to your specifications almost any type of crates of any size and shape to meet your one time or production needs. 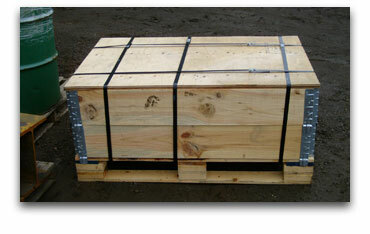 Please contact us for more details. 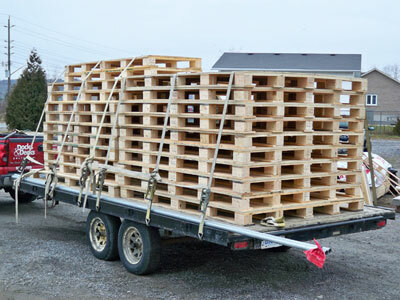 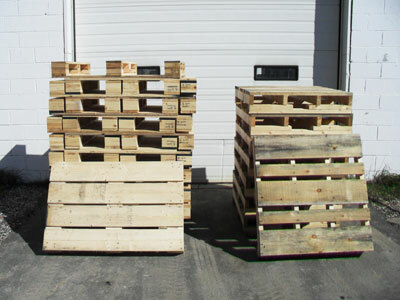 We manufacture standard size pallets as well as custom size pallets built to your exact specifications. 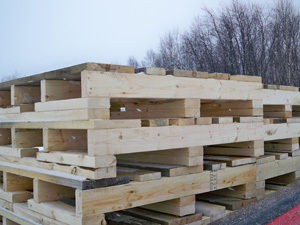 Utilizing various types of wood, we provide the optimum cost/performance ratio that is suitable for you. 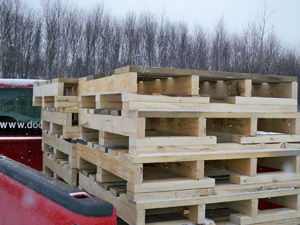 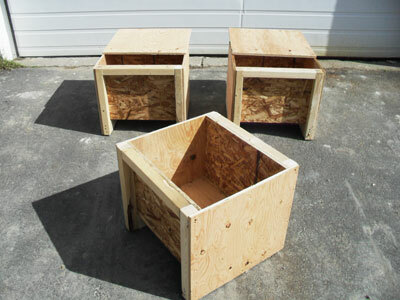 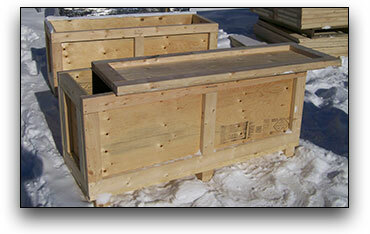 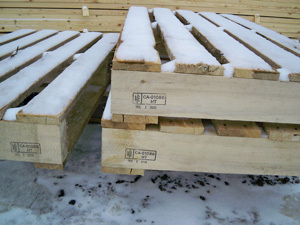 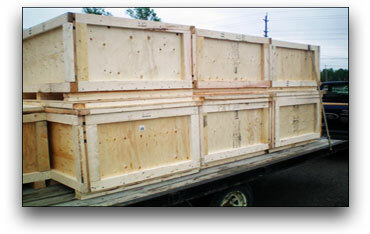 We will also build your custom size pallets in advance, assuring your company just in time delivery. 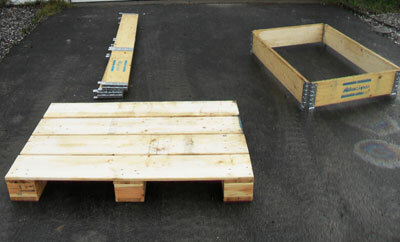 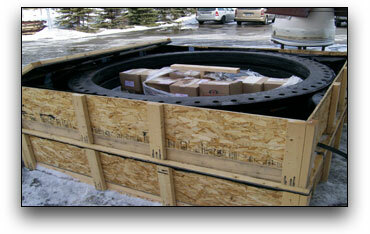 Whether for in house use or overseas destinations we can build any size pallets with multiple collapsible collars.